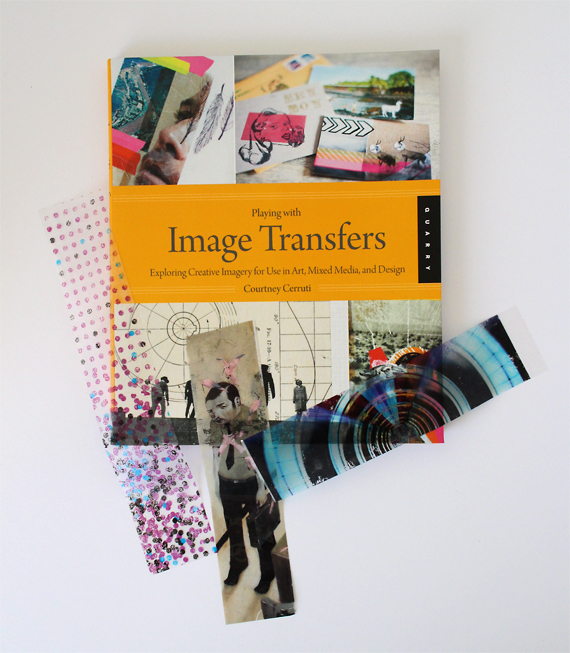 Have you ever heard of an image transfer? I had almost forgotten what they were until I recently got this book, Playing with Image Transfers, by Courtney Cerruti. 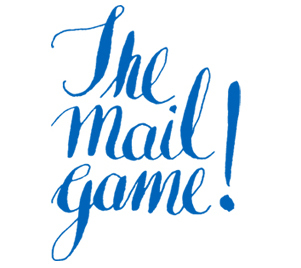 I remember making one as part of a letterforms project in college. Google was barely a thing so I went off the verbal instructions from an art grad. Boy do I wish I had this book then. I remember having fun with my project but this book would have alleviated a lot of frustration. Yeah, so what's an image transfer? There are many techniques but the basics are using an intermediary to transfer an image from paper (generally a magazine or photo copy) to your surface. In the case of the packages below I used the packing tape method. The packing tape is the medium that lifts the image allowing you to transfer to other surfaces. Courtney covers many transfer methods in her book. I've had a chance to try most of them and will experiment more in the future. The one I was most immediately drawn to play with was the packing tape method because I could see its uses as an alternative to tape when wrapping gifts. Well, not exactly a tape alternative. After all it is still tape. But it's a way to add another layer of texture to the wraps. — Cut a piece of packing tape (thicker is better) and adhere to a magazine image. — Cut loosely around the tape. — Pop the tape into a warm bucket of water. — After a few minutes dip your hands in the water and rub the paper off the back of the tape. — Whala! You have just transfered an image to a piece of tape. Now stick it wherever you want. Courtney has many more tips and project ideas for this method in her book. Wrapping with image transfers can allow for some extra personalization with gift giving. The gift above was for a doctor friend so I incorporated some medical type imagery along with one of her favorite colors purple. These transfer journal pages show a couple other techniques. In the mix along with the packing tape method are some solvent transfers, some zentangle drawing (of course), and washi tape. Besides the Playing with Image Transfers book as a resource I've had the opportunity to take an in person class from Courtney. She's a great teacher full of tips and ideas. If you live in the Bay Area you can take her upcoming class at Kala Art Institute and she often teaches at San Francisco Center for the Book. Alternatively she also has an online class available at Creative Bug! Posted in Show and tell: books, Miscellaneous made, Gift Wrap and tagged with gift wrap, image transfers, gift giving, giveaway. June 11, 2014 by Shasta Garcia.